So one of the bloggers that I seek inspiration and advice from is Chocolate Covered Katie. The fact that majority of her recipes feature chocolate had me locked in right from the start of my blogging days. This month, Chocolate Covered Katie has declared “Hug a Fat” month. Basically, the purpose of this is to increase awareness about the importance of healthy fats in your diet and that not all fats are bad! They are an integral part of a balanced diet and they also taste delicious. To promote this campaign, we have been asked to choose our favourite healthy fat! There were so many to choose from but I decided to choose WALNUTS! 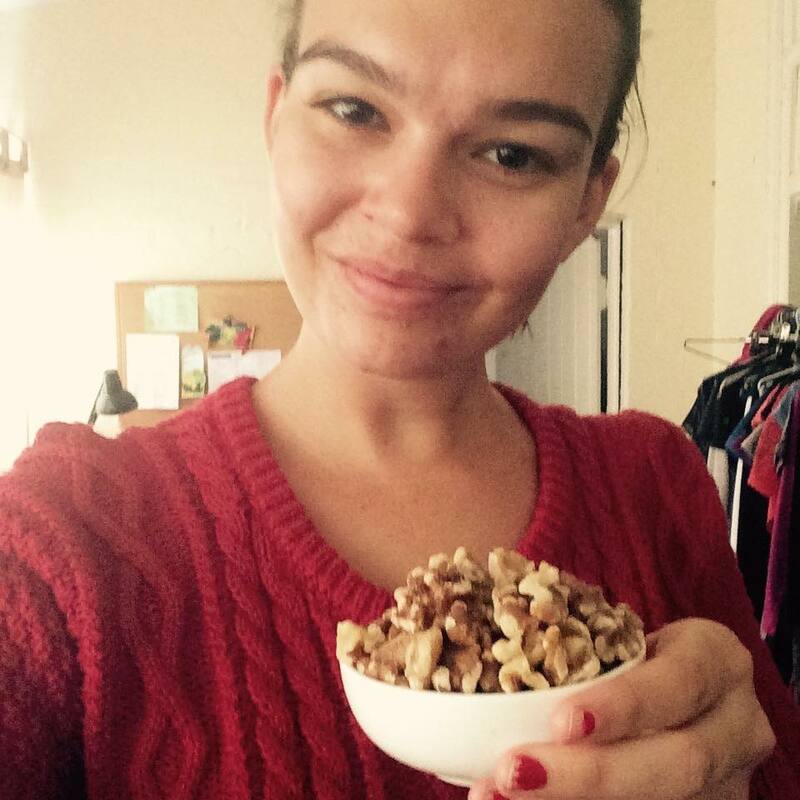 Walnuts are a great source of omega 3. A good portion to eat daily is 30 grams which works out to be approximately 9 nine walnut clusters. They are free from saturated and trans fats which are the ones you try to limit as much as you can (found mostly in processed foods and high fat dairy and meat products. The good fats you want to be consuming are monounsaturated and polyunsaturated fats. 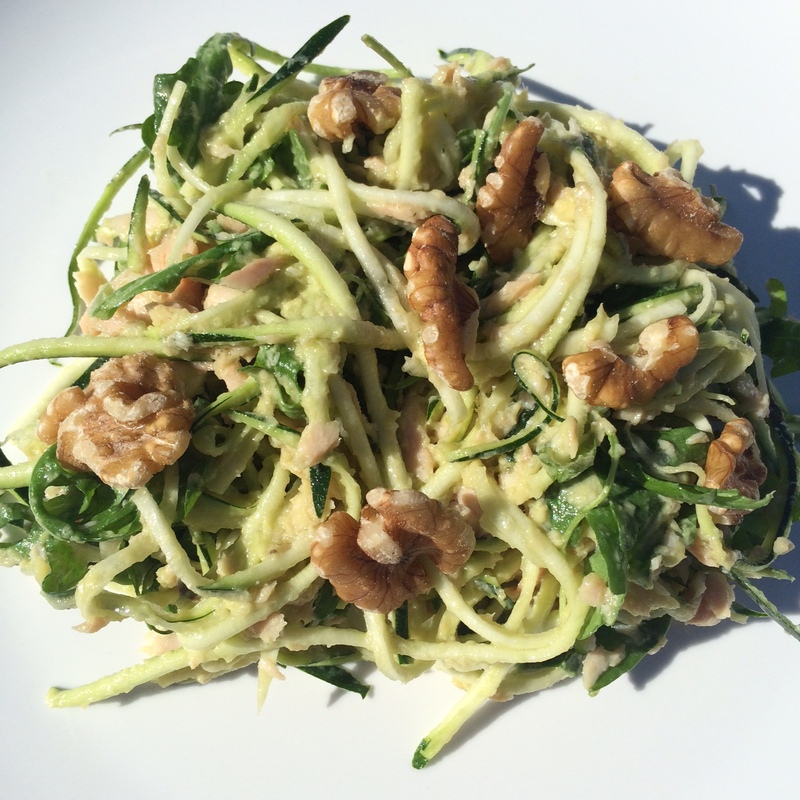 As well as the nutritional benefits of walnuts, they also taste amazing and work in sweet dishes, savoury dishes and just eaten on their own too! Here are some of my previous creations with walnuts! PB Cacao bliss balls with walnuts as the base ingredient! Check out Chocolate Covered Katie to read more about the healthy fats awareness campaign! So I’ve been thinking about making this all week so when I finally had enough time to do it, I was super excited! I love tacos, the ones with beef mince or chicken, but sometimes you just feel like something a little lighter for lunch. Also, who really knows what is in the store bought taco shells anyway! 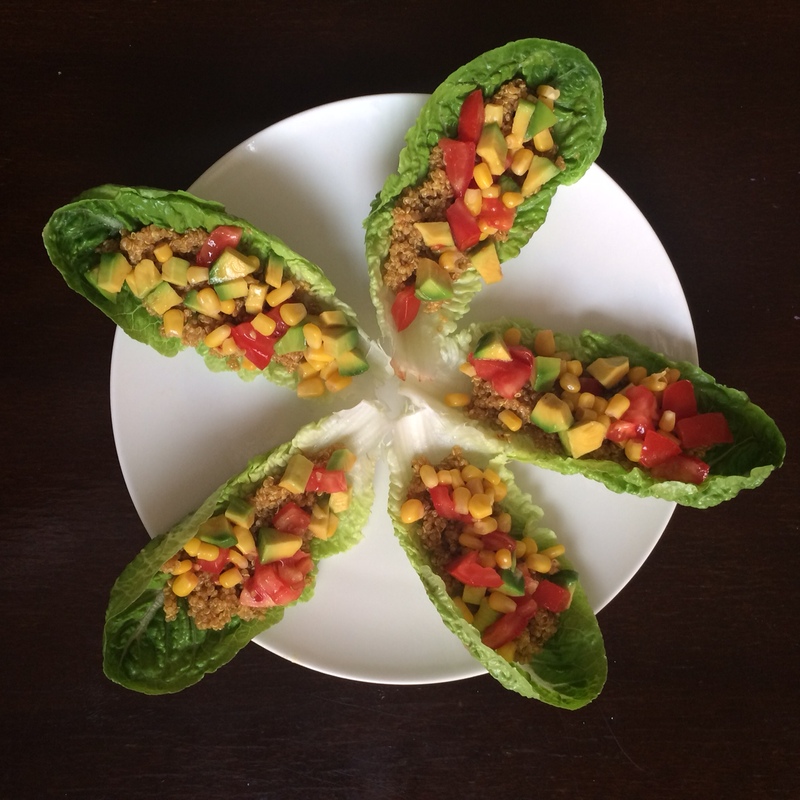 If you’re looking for a healthier taco variation, I’ve got one for you! 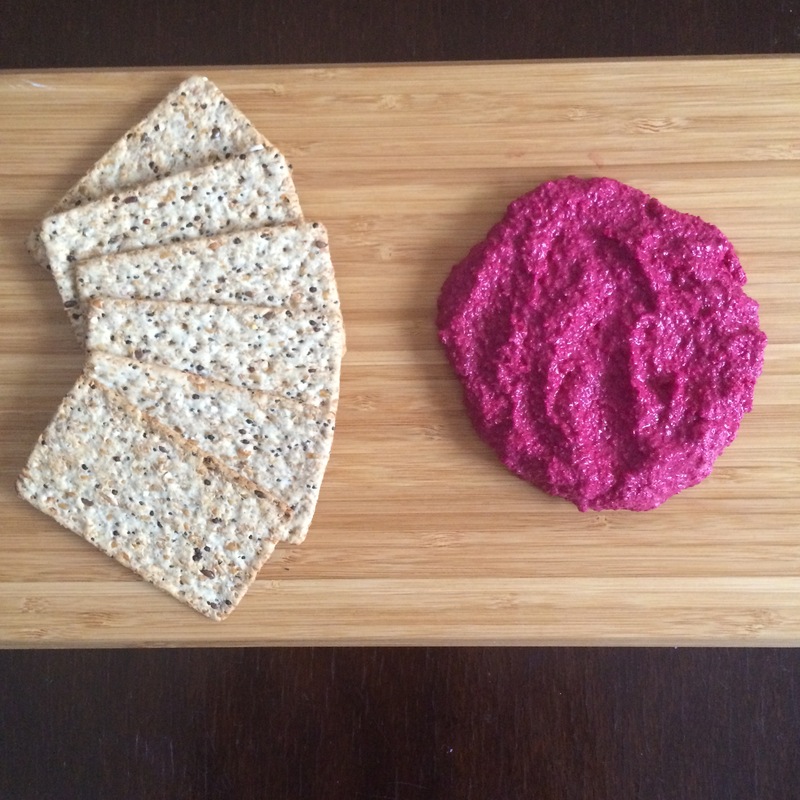 This recipe is also vegan and glutenfree for those with special dietary requirements! 3. Whilst the quinoa is cooking, prepare your salsa by combining the corn, avocado and tomato in a small bowl. 4. 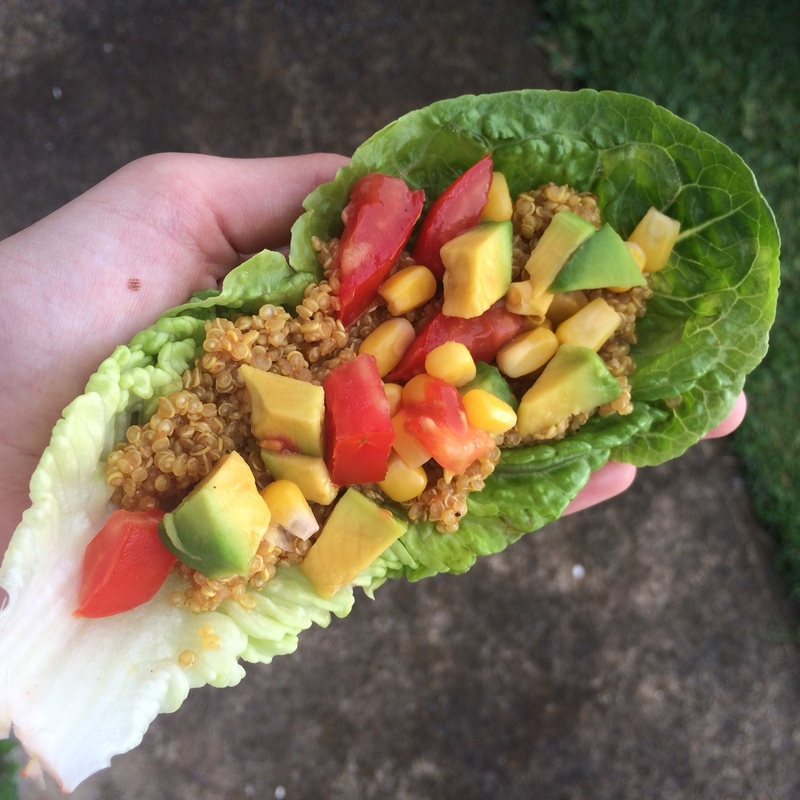 Place 5 lettuces leaves on a plate and when quinoa is ready, spoon a heaped tablespoon into each leave. Top with the salsa and voila!